After more than 20 years of experience in state and local government, Robert Wright joined Mitchell Blackstock in the health law practice. Prior to passing the bar exam, Robert served as the firm’s Medicaid/Medicare Specialist. Before coming to the firm, Robert worked for the Arkansas Department of Human Services as Director of Research and Policy and, most recently, as Chief Financial Officer for the Arkansas Medicaid Program. Robert worked in Illinois state government in human services administration and budget positions, including four years as director of the Illinois Department of Public Aid, the state agency that administered Medicaid, food stamp, child support enforcement, and income assistance programs. Robert also worked for Texarkana, Arkansas, his hometown, for five years, including three years as city manager. 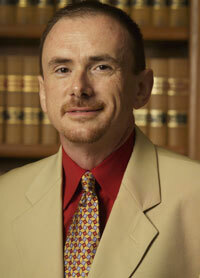 Robert is current president of the Arkansas Bar Association Health Law section. Robert graduated with high honors in December 2007 from the University of Arkansas at Little Rock William H. Bowen School of Law. Robert received a B.S. degree from the University of Central Arkansas and a Master of Public Administration degree from the Maxwell School of Citizenship and Public Affairs at Syracuse University. Robert’s practice is devoted almost exclusively to health law including drafting fraud and abuse opinion letters, drafting contracts and other legal documents for physicians and other health care providers, representing health care providers in contract negotiation, representing health care providers in administrative appeal hearings, and consulting with providers and provider groups regarding planning to address the impact of healthcare policy changes at the state and federal level.